Download your policy documents here. Documents are in PDF format so you might need to download Acrobat Reader. The Acrobat Reader can be downloaded here. 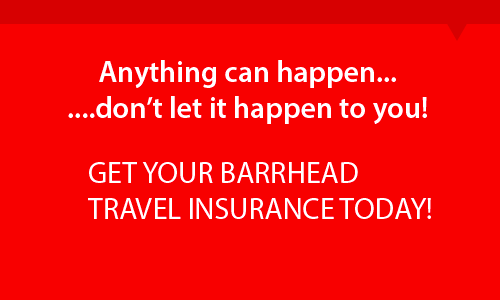 Barrhead Travel Insurance is arranged and administered by ROCK Insurance Group. ROCK Insurance Group is a trading style of Rock Insurance Services Limited who is authorised and regulated by the Financial Conduct Authority (FCA No. 300317).